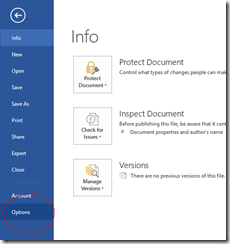 Note: The folder you want to create the folder in, must exist. In other words: create subfolder hierarchy one at a time. 1. Set a breakpoint in the producer espace. 2. Tell the producer espace to "Debug in Public Area"
3. Tell the consumer espace to "Debug in Public Area"
5. Do actions that should cause the breakpoint to be hit. // Set the header so it knows we are sending JSON. // Make sure sharePointUrl does not end with a slash. // Make sure templatesRelatviePath does not start with a slash. 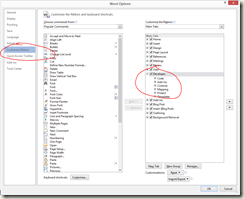 POST multiple parameters to an ASP .NET Web Api REST service from a .NET 3.5 assembly, by using one dynamic JObject "options" parameter. // Uses the System.Net.WebClient and not HttpClient, because .NET 2.0 must be supported. 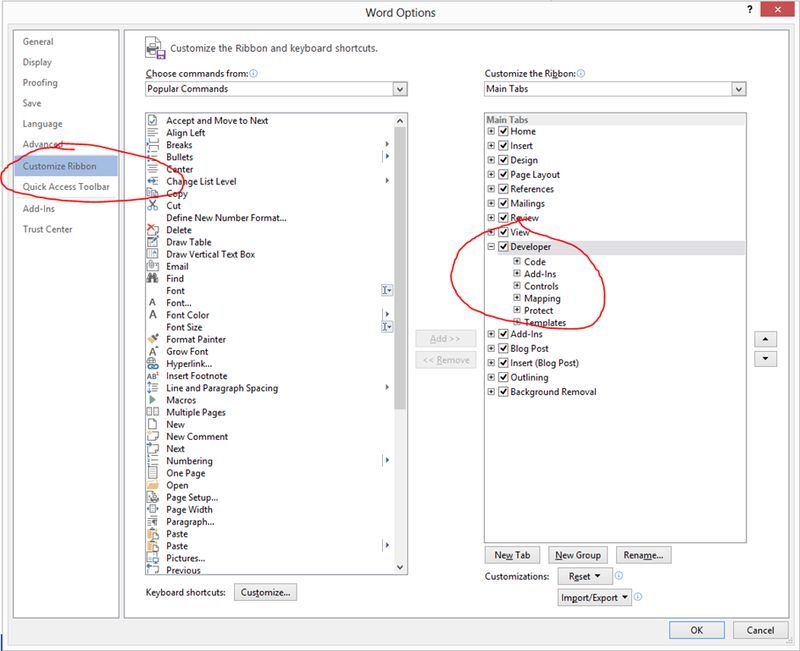 // Create the one and only "options" parameter object. 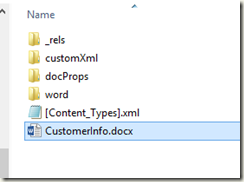 // Convert the dynamic JObject to a DocumentDto object. // Use the given data to create the result. 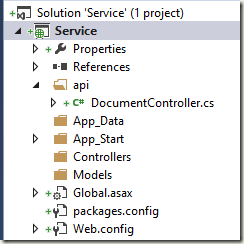 In this post I will use a UnitTest project written in C# .NET 2.0 as client code. 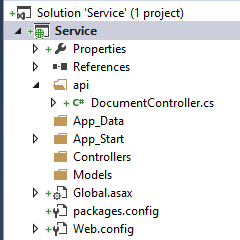 And a ASP .NET Web Api project as Server (service). 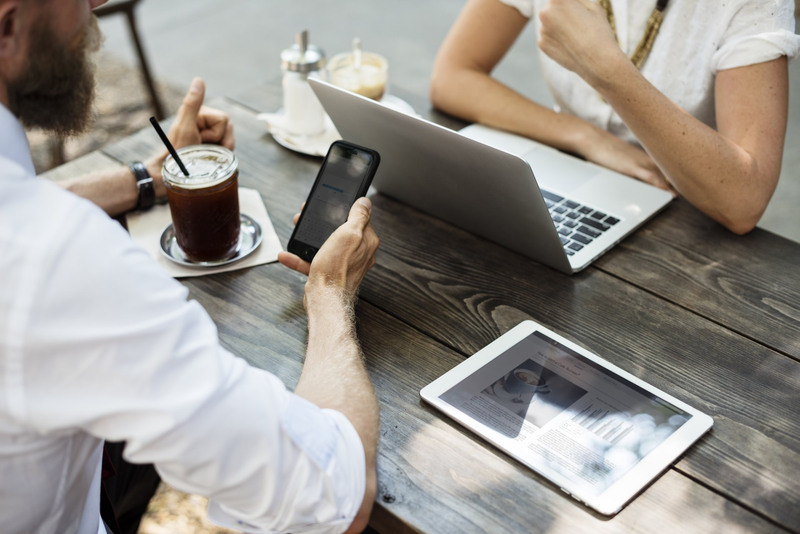 Create a new UnitTest project and change target framework to .net 3.5. // Set the header so it knows we are requesting JSON. 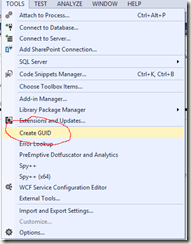 Create an empty ASP .NET Web API project in Microsoft Visual Studio 2013. 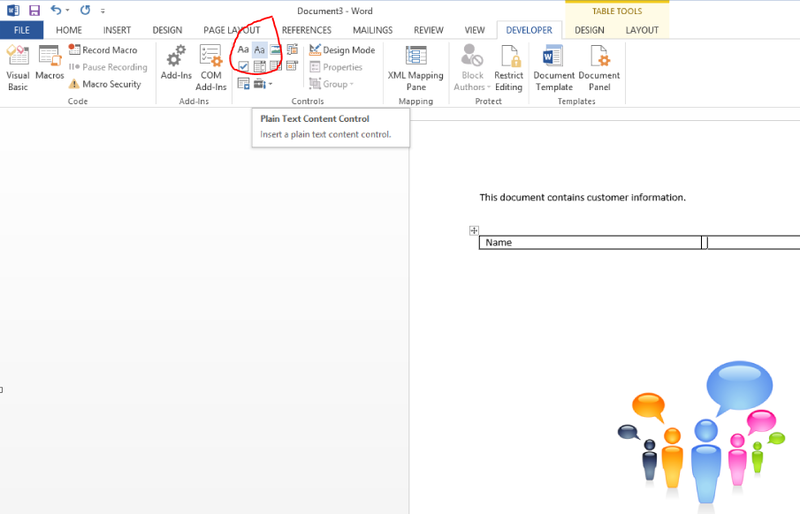 This post describes how you can create a Microsoft Office Word (2007/2010/2013) document by merging a Word template and a custom xml document. 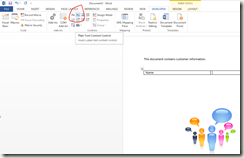 Note: This post uses Microsoft Office Word 2013, but the same applies to Microsoft Office Word 2007 and 2010. First insert some text, a table and an image to give the template some body. 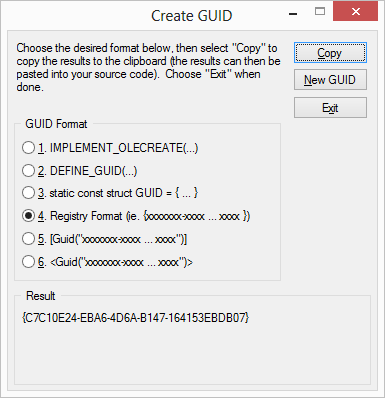 Rename the file to "C:\Temp\CustomerInfo.zip"
Extract the file to "C:\Temp\CustomerInfo"
Create the files item1.xml and itemProps1.xml and the folder _rels in the folder "C:\Temp\CustomerInfo\customXml"
The itemID is just a GUID. 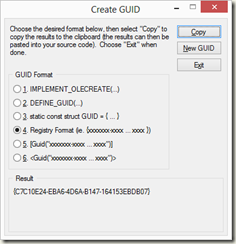 Create a file item1.xml.rels in the folder "C:\Temp\CustomerInfo\customXml\_rels"
The Id is just a GUID without "-". 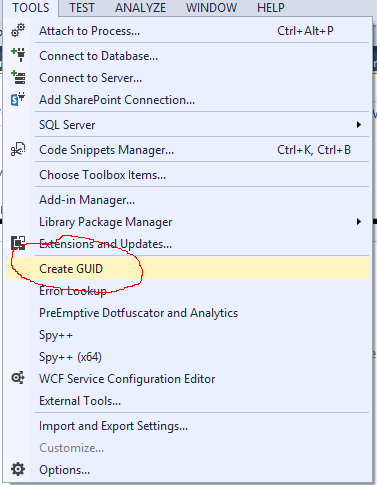 The ID is a GUID without "-". Search for "CustomerName" in the file. just after the <w:sdtPr> containing the CustomerName content control. 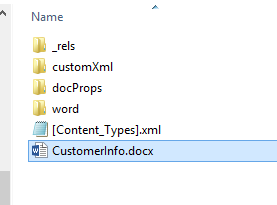 Now when you zip the contents of the folder "C:\Temp\CustomerInfo" and rename the zip to CustomerInfo2.docx, the CustomerName content control should be automatically filled with the text "Customer 1" from the item1.xml file. 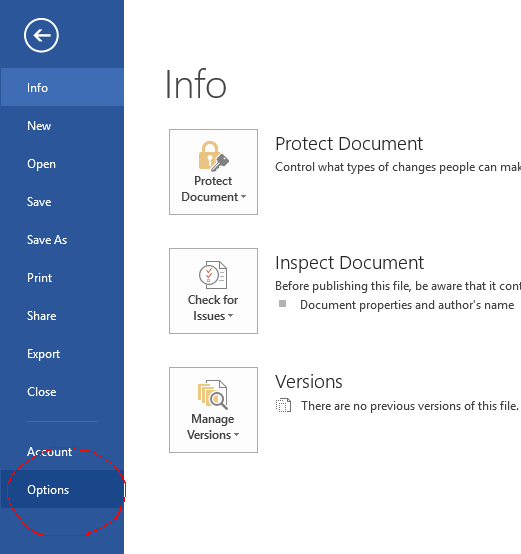 This tool was created for Office 2007, but can be used for Office 2010 and Office 2013.